This is called a credit card surcharge. 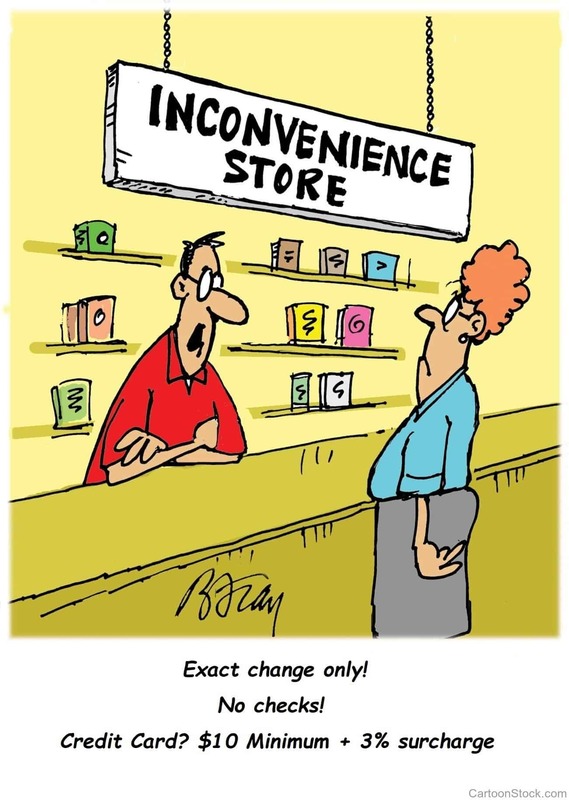 Though it’s annoying, there’s a reason merchants add it: to cover their costs. You’ll rarely see surcharges at large retailers. But you could see them at mom-and-pop establishments, where bottom lines are more sensitive to credit card processing fees. Is it legal for the merchant to charge you an extra surcharge? Merchants are also allowed to require minimum purchases for credit card purchases — up to $10. Does it make sense for you to pay an extra 3% to use your credit card? That really depends on why you wish to use your credit card in the first place. If it’s simply for convenience, it might not make sense for you to pay an extra 3% for this convenience. However if you need the 30 – 45 day cash float that your credit card afford you, then it might be the only way you can make the purchase. Additionally, some savvy business owners may have a credit card that earns them 2% cash back and the cash back money is tax free (grey area…Speak to your Accountant.). If you’re in a high tax bracket, it may be well worth it to pay 3% and get back 2% of that tax free. Does it make sense for business owners to pass on the fee? It really comes down to your customers. If you implement a surcharge, it comes at the risk of losing customers who are put off by additional charges for credit card. When consumers were asked would they pay extra to use a credit card at a business, 64% said they wouldn’t pay an extra fee. Additionally, credit cards have become a standard method of payment in virtually every industry and every large corporation accepts credit cards without surcharging. Finally, if your fees are too high, it might be time to look for a new processor. If you’re already a Banquest client, let us know how we can help you when it comes to surcharges. If you’re not a client but interested in how we can support your business, click here to contact us today!